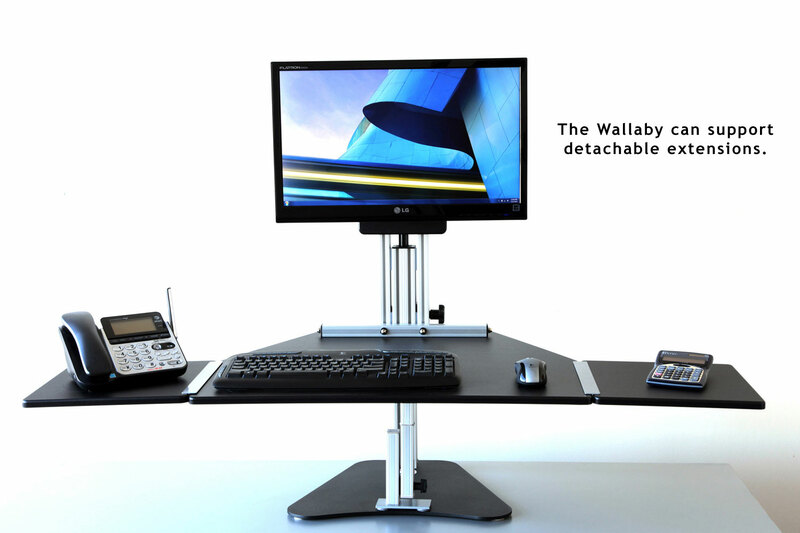 The Wallaby Elite is an adjustable height desk which converts any ordinary desk into a sit-stand desk. 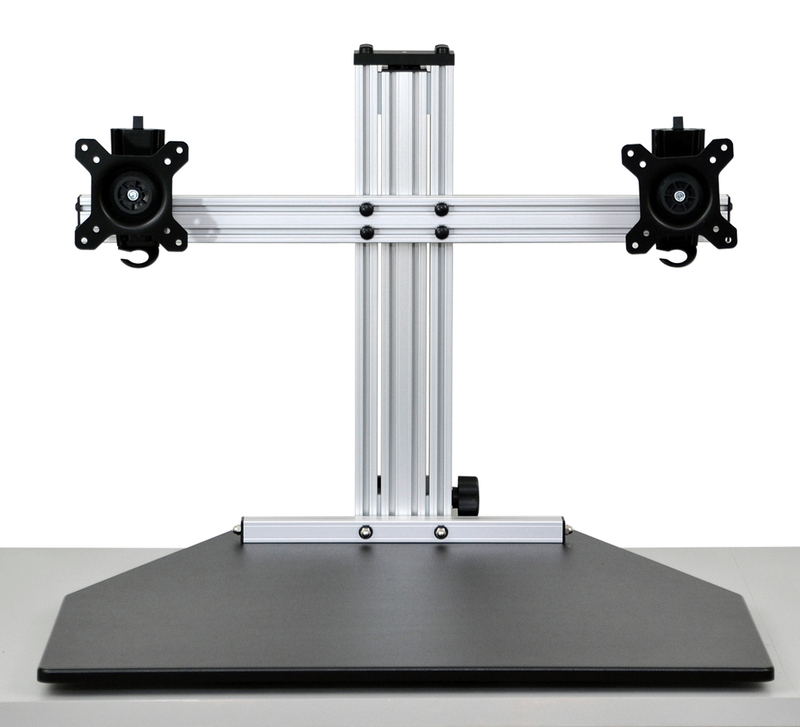 It is free-standing (no clamping required) and easily moved to any position on the desk. The main keyboard platform adjusts up or down with the assistance of a gas cylinder (or lift), making quick adjustments throughout the day easy and effortless. This platform is generous compared to most keyboard trays at 28" wide and 24" deep and can be adjusted up to 16.5" above the desk. With the "stopping bolt" feature, the user can raise the platform to a preset desired height every time. All Wallaby Elite models also include a stabilization leg to practically eliminate worksurface vibration. 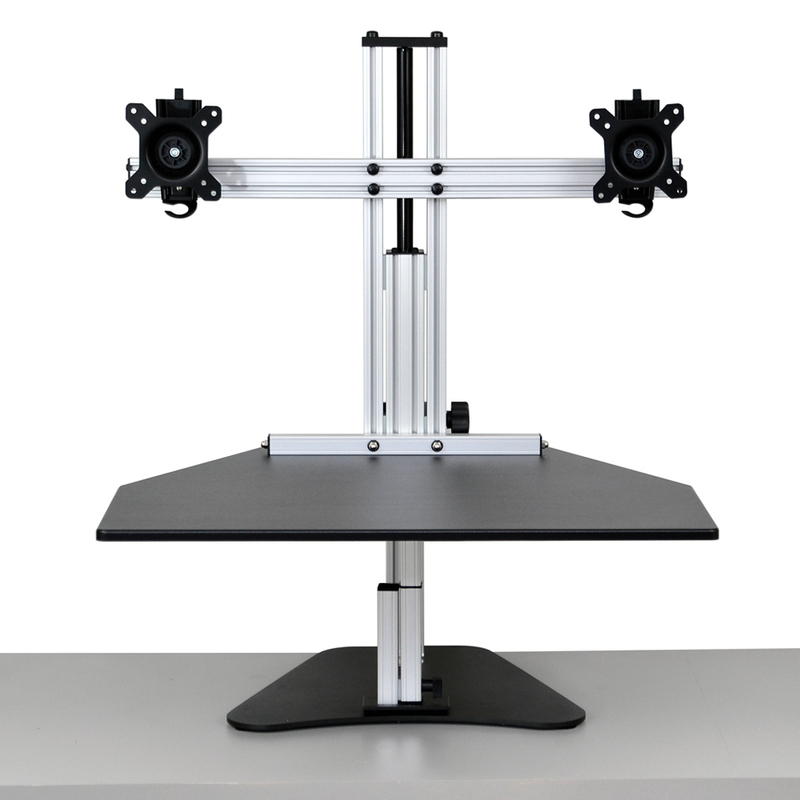 Two monitors are attached to monitor mounts (or brackets) on a crossbar using the standard VESA plates requiring 75 or 100 mm hole patterns. The monitor mount allows for panning, tilting, or rotating the monitor from landscape to portrait positions. 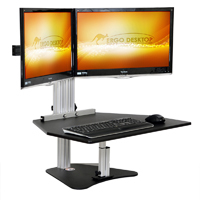 Unlike the Kangaroo Elite, however, the Wallaby Elite is designed so that the user sets the monitor at a desired height and it stays locked in that position relative to the keyboard platform. The monitor will then always move in unison with the platform. There is a 7 inch height range to set the monitor to the desired position. The Wallaby Elite is recommended for monitors up to 25" wide (not diagonally) and up to 10 lbs each (without stand attached). For heavier monitors, consider an upgraded Kangaroo Elite model. 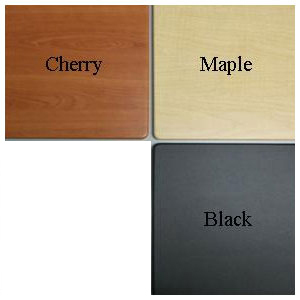 Available colour options include Black, Cherry, and Maple. Additional accessories to extend the worksurface are also available.